A wonderful family home, with plenty of room that has three bedrooms and a Master bedroom. The home is heated with radiant floor heating, providing comfort during those cold winter nights. The lot size is over half an acre with space for an RV or trailer and the property is walled providing privacy. 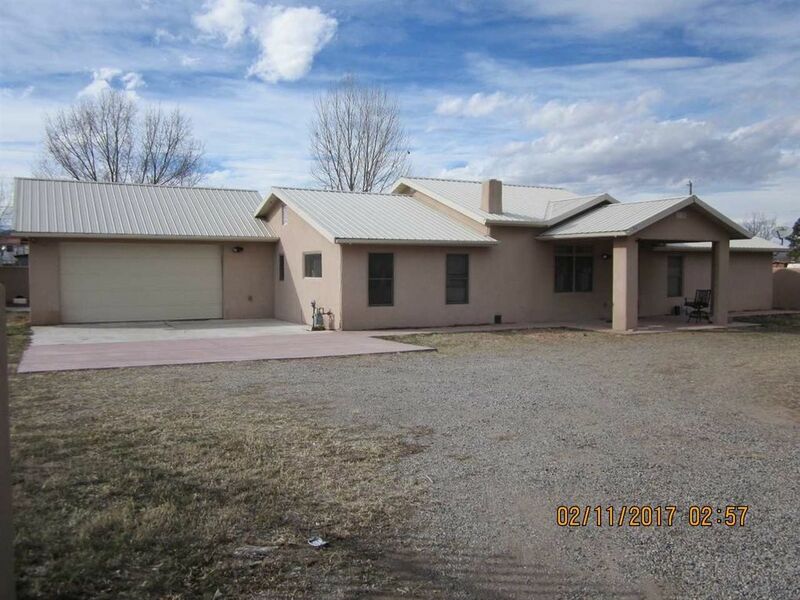 The home is close to schools, hospitals and shopping, and is a short commute to Santa Fe and/or Los Alamos. Directions: Travel to Espanola from Santa Fe, on Riverside Drive/Taos Highway (285/84) turn East on State Road 76, travel for approximately 2.3 miles, turn left on Calle Lucia, travel to the end of the road, property is second to the last home on the left.